NOTE: Not a functional HAZMAT suit. It's just made to look like one! I'm not really a hazmat agent. I just play one on...Halloween. …your arrival in a hazmat suit. The people in the crowd will part for you. They will gasp a collective gasp. And then they will will start freaking out about what possible haz mats (i.e., hazardous materials) you’re there to take care of. Chemical agents (scary)? Nuclear agents (scarier)? Biological agents (ewwww)? Fire (blaaah – run!)? To keep up the trick and make it believable, you’ll need to be wearing a seriously authentic looking hazmat suit. Like this HAZMAT Suit and Mask. 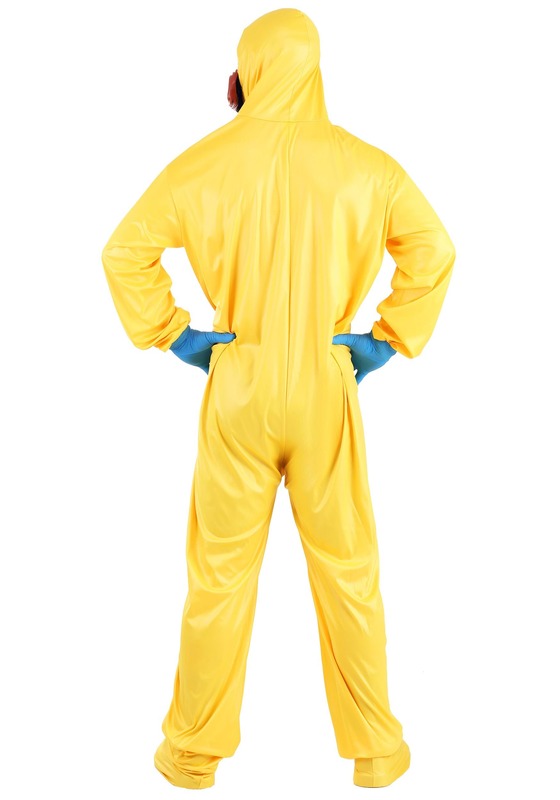 It looks just like the real deal, but nobody has to know that the yellow polyester jumpsuit was designed as a costume. The sleeves, pant legs and hood are fitted with elastic to stay in place while you scope out the scene. There’s even a latex mask that covers your face like a real SCBA (self contained breathing apparatus – like SCUBA, but not underwater…). It stays on with an elastic band. The whole getup zips up the front so it’s easy to put on, and to take off for the big reveal when your joke is over. 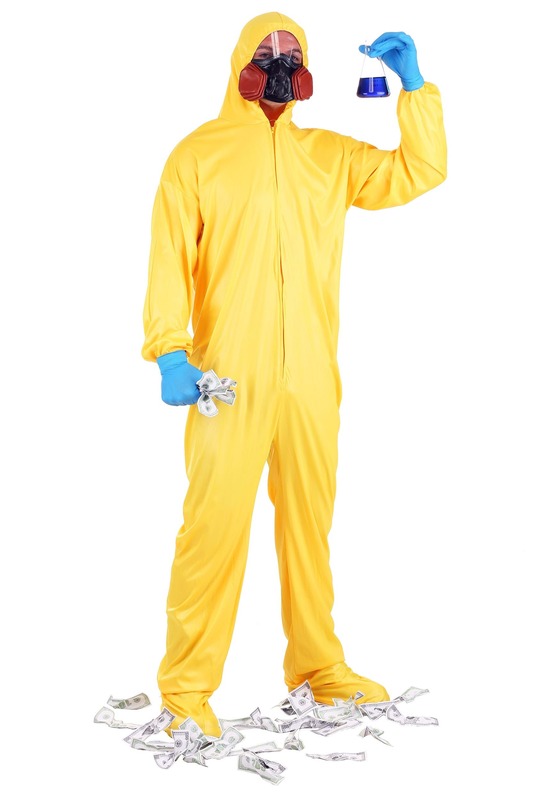 Then everybody will know that it’s not a functional hazmat suit – it’s just made to look like one. Then you’ll win the night. You will so totally win.